Select which language should be used for the Portal Manager (e.g. for the main menu). The new setting will take effect when you restart the Portal Manager. 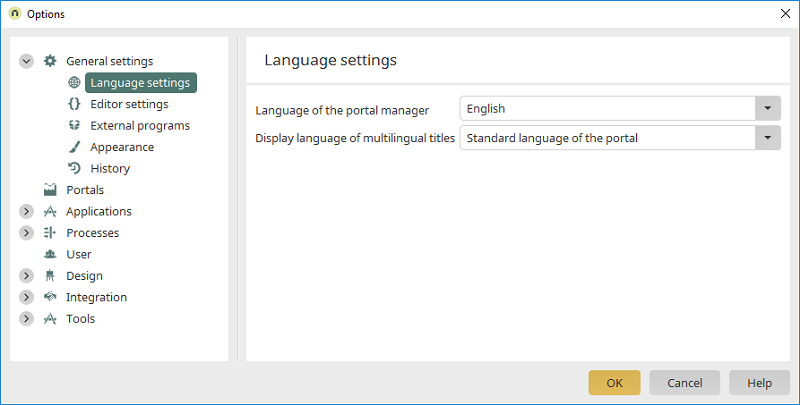 The language selected here will be used for multilingual titles in the Portal Manager (e.g. in the application structure).